Investing in blue chip stocks that pay growing dividends is one of the most consistent ways to build both passive income and serious wealth. As you can see, blue chip dividend stocks that focus on returning cash to shareholders in various ways aren’t just for retirees. Investing in them is a powerful strategy at any age. But the catch is that this chart has the benefit of hindsight. The key, therefore, is to reliably find companies that will continue to grow dividends going forward, rather than ones that will stall or cut their dividends. And to take into account debt reduction and share buybacks into your assessment. There are hundreds of “10 best dividend stocks for 2019!! 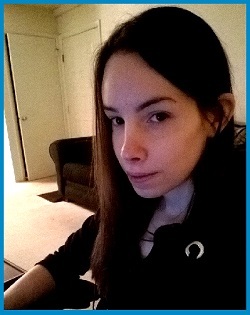 !” articles out there that give little snippets on a few random companies, written in about an hour by a freelancer. However, if people are going to invest in individual companies, it’s important that they know how to fish rather than just be given fish. This is a detailed guide that transcends the obvious on why investing in blue chip dividend-paying stocks is such a powerful strategy, what metrics can help you identify the best companies, and which dividend stocks I’m bullish on right now. Portfolio Construction: How Many Stocks to Own? Blue chip stocks are large, diversified, recognizable businesses that are market leaders in their industries. Think Apple, American Express, UPS, and Home Depot. Companies you know well. 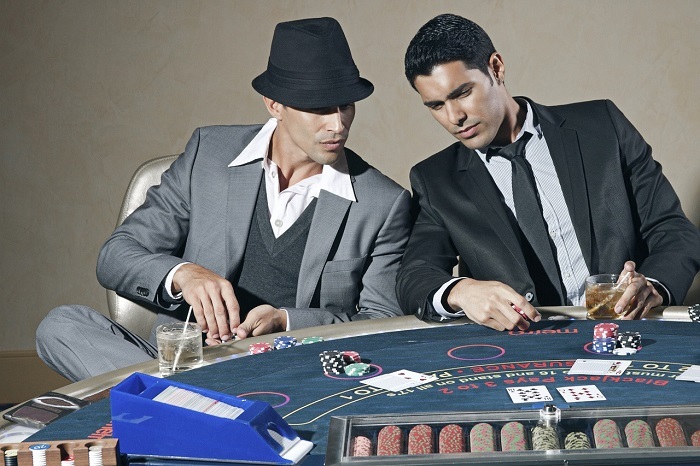 They get their nickname from blue poker chips, which tend to be high-value chips in the game. Many blue chip stocks pay dividends every year like clockwork. Some of them, called “Dividend Aristocrats” have not only paid dividends, but have grown their dividends every year without fail for at least 25 consecutive years. Reinvest. Smaller, newer companies are often best-served by reinvesting all of their cash into their existing operations. They have significant growth potential, great returns on invested capital, usually have fierce competition, and need to grow fast. Bigger companies already saturate their markets, and are limited in how much of their income can be profitably reinvested into growth. Acquire. Acquisitions make sense on a limited basis. If there is significant synergy that will unlock additional value, or if they can buy a business for less than they think it’s worth, then a company might do very well by acquiring smaller businesses. They can pay money for the business, and in return they now get to earn all the income that the other business produces, and can change or grow it however they want. Reduce Debt. Companies issue debt in the form of bonds in order to improve their returns on equity. They borrow money at a low interest rate and invest that money into projects that produce higher rates of return, and pocket the difference. But it’s a fine balance between using appropriate leverage and too much leverage. A company can use incoming cash to reduce its leverage when it’s ideal to do so. Buybacks. A corporation consists of millions or in some cases billions of individual shares, with each share representing fractional ownership of the company. A company can issue new shares to bring in more capital, but it dilutes the existing shares because each share is now worth a smaller percentage of the company. Alternatively, a company can buy back its own shares and eliminate them, which makes each existing share worth a larger percentage of the company. Dividends. Lastly, mature companies that produce reliable income can start paying their shareholders directly with cash on a regular basis. If you hold stocks in your brokerage account, those dividends will be electronically deposited into your account as cash. You can withdraw them and spend them as you see fit, or you can reinvest them back into more dividend stocks to exponentially grow your dividend income even faster. Blue chip companies that pay dividends usually do a combination of all of the above. They reinvest part of their money into growing their business, they keep their debt levels reasonable, they may make some acquisitions, they pay regular dividends, and use any remaining capital to buy back some shares. Dividends are often relied on by people that need investment income now, especially retirees. While index funds are great for many investors, selling a portion of index funds for income on a regular basis is often a more volatile and less desirable strategy than relying on dividends that continue to grow even through recessions as stock prices go up and down. Consider, for example, that you were a retiree in 2008 with a $500,000 index pure stock portfolio, and you planned to sell 4% of it per year for income. That would give you $20,000 per year in retirement income, on top of any pension, social security, or other income you may have. Within one year due to the severe recession, your portfolio would be cut in half down to about $250,000, and you’d only be able to generate $10,000 in annual income by selling 4% of your portfolio. It would take a full five years for the S&P 500 to get back to where it was before the crash, and by then having sold so much, you would have a smaller portfolio. Of course, retirees are usually advised to have less stock and more bonds, to reduce their exposure to that kind of volatility. But that creates another problem. The Bloomberg Barclays U.S. Aggregate Bond Index, which is a broad index representing investment grade bonds, has produced less than 2.5% annual returns over the last ten years. So, relying on selling a portion of stock index funds is a volatile and unreliable income stream. And with a bond-heavy portfolio, your returns are terrible in a low interest rate environment and their tax treatment is harsh. For the ultimate guide on safe withdrawal rates, see Todd Tressider’s comprehensive overview on the subject. The summary is that the commonly-assumed 4% withdraw rate is not safe at all going forward based on current market valuations and low interest rates. However, a balanced portfolio of blue chip stocks that have increased their dividends for decades straight and have strong signs of continuing that trend for the foreseeable future can continue to provide good income even through recessions and grow those dividends more quickly than inflation. And if you hold a basket of companies from numerous industries that have the proven ability to grow dividends for decades straight, then you can build yourself an investment income buffer during tough times. You can rely on income, rather than selling some of the principle, for your spending needs. Investing in dividend-payers means that your investment income is based on the blue chip company’s fundamental ability to make money and pay shareholders, regardless of their fluctuating stock price and the whims of the stock market. Now suppose you’re not a retiree. You’re younger, and you’re looking for high total returns. Sure, if you manage to invest in a company like Amazon or Facebook before anyone else knows they’re going to rule the tech world, then that would be ideal. But for every little start-up you invest in, many of them will go bust and a few will rise to the top. You’re more likely to be wrong than right. Individual growth stocks can produce incredible returns, but as a strategy, investing in a collection of growth stocks produces mixed results. 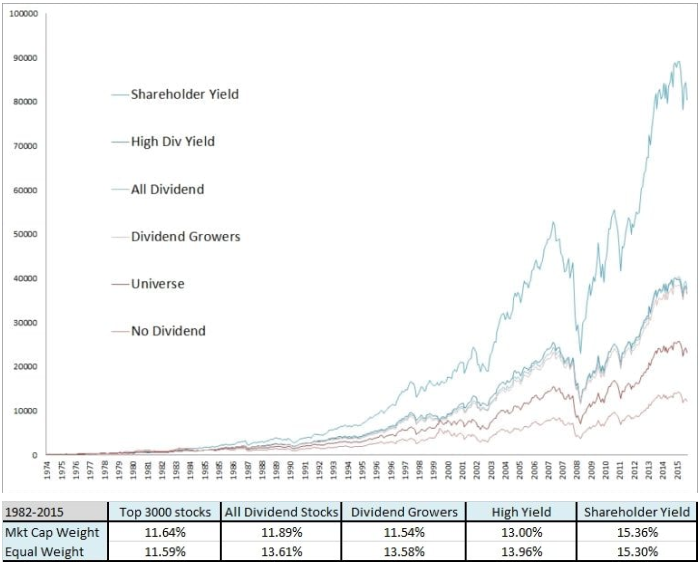 On the other hand, the chart from Oppenheimer at the top of this article shows that, as a strategy, a focus on blue chip stocks that grow dividends over time is an extremely powerful way to build wealth if you get it right. In any given year, a company has a certain amount of money that it can invest into various projects. These could include internal growth opportunities like launching a new product or building a new store, or it could involve acquiring another company. Of course, not all of those projects will be equal. Some of them are excellent opportunities within the company’s core competancy that are likely to generate excellent returns on capital, while other ones are more mediocre/borderline opportunities. And a company has a limited amount of money to invest at any given time. Ideally, they want to invest in the best projects to generate the best rate of return for shareholders. If they invest in bad ideas that lose money, it destroys capital. If they have enough money lying around, they have more liberty to just throw money at all the potential projects, even mediocre ones. A “project” in this sense could be an internal growth opportunity like a new product or new store, or it could be an acquisition. However, suppose that a company has a disciplined capital allocation policy, and they pay dividends to shareholders every quarter, and grow those dividends every year. This leaves them with less capital to invest, and therefore they need to be more selective in terms of which projects they invest in. They don’t have tons of cash to liberally just invest in everything, so they invest in their best ideas relating to their core business, and give the remaining funds to shareholders as dividends or buybacks. Those investors can spend those dividends as income or they can reinvest those dividends into buying more shares of the company. That way, you keep compounding exponentially in the company’s best projects with 100% of the capital. Individual dividends aren’t magic. When a company pays a dividend, its stock price goes down slightly in the short term to adjust for the fact that some cash has left the company. But what separates excellent companies from mediocre companies over the course of decades is that excellent companies produce better returns on invested capital, which I will cover in the next section. And as an investor, it’s better to have a company that is disciplined and selective with its projects and returns excess capital to you than a company that simply invests in all potential projects. And high quality blue chip stocks that pay growing dividends will give you tremendous capital appreciation and dividend income over time. To be more precise, all of this applies to total shareholder yield, whether it’s dividends, buybacks, or debt reduction. Some companies dig a wide economic moat around their operations, turn themselves into capital compounding machines that are highly resistant to both recessions and competitors, and then go on to pay high dividends that grow every year like clockwork for decades. Too many investors make the mistake of only looking at past returns. You can’t just look at the past twenty years of a company, see that it has raised its dividend by 10% per year, and extrapolate that into the future and assume it’ll be like that forever. Another big mistake is that many investors chase yield. They just pick the highest-yielding companies without understanding that the highest yields are often a trap- a company is about to cut its dividend, the market knows it, and the stock price is sinking, resulting in what temporarily looks like a very attractive yield. A smart analysis needs to have a forward-looking element and utilize a margin of safety. I like to use the Morningstar key ratios tab as my primary data source. Here’s an example, for Home Depot. It shows a ton of information on one page, and you can get additional info by going to the “Financials” tab. A 12% dividend yield doesn’t mean much if it’s about to be cut. Usually, extremely high yields means that the company is not currently covering its dividend with cash flow or net income, and that they might have to reduce or eliminate the dividend in the near future. This often happens when a company used to cover its dividend well, but recently encountered a setback, resulting in a lower stock price, lower earnings, but still the same dividend for now. Investors might buy it thinking it’s a value, when really, smart money knows it’s a value trap. Look at the dividends the company paid per share over the past 5-10 years. Determine what the dividend growth rate has been, and see if it has been still growing well over the past 1-3 years as well. Then think qualitatively about the business. Is their product or service almost certainly going to be in demand in 10-20 years, or are they at risk of technological or cultural shifts in the near future? For a dividend growth stock, it’s best to look for dividend payout ratios below 50%. This means that the company is paying out 50% of its profit as dividends, so as long as their profit doesn’t get cut in half, they’ll be able to cover their dividend in the future just fine. And check both free cash flow and net income to make sure that both of those values are well above the dividend payments. For REITs, MLPs, and other high-yield slow-growth businesses, higher dividend payout ratios up to 80% or 90% are okay, but a bit riskier. When you approach or exceed 100%, that’s when it becomes a problem. Due to the large non-cash depreciation impact on the earning statements of these types of asset-heavy businesses, rather than comparing dividend payouts to net income for these types of assets, compare them to Funds From Operations (FFO), Adjusted Funds from Operations (AFFO) or Distributable Cash Flow (DCF). One of the main problems that can sink an otherwise successful business is mismanaged debt. All too often, companies over-leverage themselves due to overconfidence in their business model, or just desperation to grow earnings, and then when they encounter a setback, it all falls apart like a house of cards. Most banks did this prior to the financial crash of 2008, and most MLPs did this prior to the energy price crash of 2014. By far the most important balance sheet metric is the interest coverage ratio. It’s a measure of how many times over their operating income can pay for their debt interest. Once interest expense gets too high and the company can’t pay it with incoming cash flow, then they become likely to default on their debt and may have to declare bankruptcy. In Home Depot’s case, their interest coverage ratio is over 13x, which means their operating income is more than thirteen times higher than the interest they pay to bondholders. That means their debt is very well-covered. For a very stable high-leverage business like a REIT or MLP, the interest coverage ratio should ideally be above 4x. You can add depreciation and amortization back to operating income to get an accurate idea of how much the bond interest is covered by incoming cash. For blue chip corporations, like Home Depot or UPS, you generally want to see interest coverage be 10x or higher, which means they are rock solid. Another big metric to consider is the debt-to-equity ratio. If a company has less long-term debt than they have in equity, that’s a good sign. Generally speaking, the more leveraged a company is, the higher the interest rates they’ll have to pay on their bonds. This will decrease their interest coverage ratio, resulting in less profit left over for shareholders. The other factor is stability. Asset-heavy businesses that produce extremely stable incomes, like utilities, need to use higher leverage and can generally use it more safely. The key factor therefore is to look at here is the trend, more so than the absolute figure. And compare debt levels to the company’s peers. Sometimes you’ll see a company that seems to be growing sales and earnings at a great pace recently, but then when you look at the balance sheet over the past few years, you’ll find that they’ve piled on a lot of new debt, resulting in a far higher debt/equity ratio than they usually have. This means that their growth is likely unsustainable; they’ve borrowed extra money to expand rapidly, but now that they are more leveraged, they can’t keep repeating that pattern. Of course, sometimes taking on additional leverage is a good thing. After the financial crisis when interest rates were lowered to nearly 0% by the Federal Reserve, many corporations took advantage of the low interest rates to issue new debt and expand, kind of like how it made sense for homeowners to refinance their mortgages. It’s just important to be aware of when growth is coming purely organically, or if a company is relying on increasing leverage to expand or buy back their shares. This is probably the most important section of this article. It’s what separates the best companies from mediocre ones, and focusing on this metric and ones like it is what made Warren Buffett an even more successful investor than his mentor Benjamin Graham, the father of value investing. Return on Invested Capital (ROIC) is a measure of how effectively a company invests its money, and gives an idea of how in-demand their products and services are. All else being equal, it’s better to invest in a company that generates high returns on invested capital, like 12% or higher. The simplest example I’ve seen for this is from The Little Book That Still Beats the Market , by hedge fund manager Joel Greenblatt. In it, he uses the example of a candy shop company and a broccoli shop company. Suppose that a candy shop company can invest $400,000 to open up a new candy shop location, including remodeling a location, buying product and equipment, hiring initial workers, etc. And they have a track record of generating $200,000 per year in profit on average from their locations. That means their ROIC is 50%; for each dollar they invest into a new location, they’ll earn an annual rate of return of 50% on it. Now suppose a broccoli shop company exists, and literally sells only broccoli. It also costs them $400,000 to open up a new broccoli location, because the fixed initial costs are roughly the same. They need to customize their store, buy initial product and equipment, hire workers, etc. However, because broccoli isn’t in as much demand, each location only earns $20,000 per year in net income. In this case, their ROIC is only 5%. The candy shop company will grow much, much faster than the broccoli shop company because for each dollar they invest, their rate of return on that invested capital is massively higher. Opening candy shops is a far more lucrative use of capital than opening broccoli shops, obviously. Greenblatt’s investing strategy, which indeed has a multi-decade track record of beating the market, is surprisingly simple. He ranks all companies based on their ROIC, and then separately ranks all companies based on their price to earnings ratio. He then invests in the top companies as ranked by the combination of high ROIC and low price to earnings, meaning companies that are trading at bargains that nonetheless are putting capital to great use for high returns. The key idea here is that you want to invest in companies with high ROIC. It means their products and services are in demand, and/or that their costs for expanding are low. 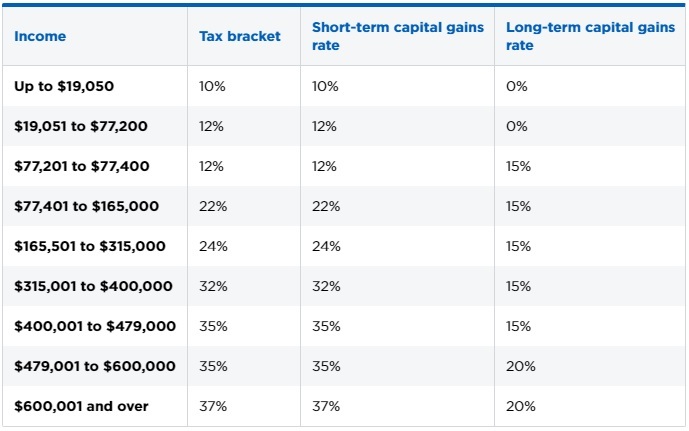 It’s a law of capitalism that if a business achieves superior rates of return, other businesses will come after that opportunity, which will result in reduced rates of return. A business can’t just go around earning outstanding ROIC without competitors trying to copy them and compete with them. As an example, if there were only one candy shop at a hot location like a board walk or theme park, you can bet that they would make an incredibly high ROIC, like maybe 20% or higher. But, other candy companies would eventually notice this, and inevitably one of them would open a location near them. With this newfound competition, the original candy shop would likely have to lower their prices, or invest in more marketing, or something. They would still have similar fixed costs, but many of their potential customers would go to the other candy shop instead. Their profitability and ROIC would be lower than before, and might drop to 15% or 10%. Consumers trust the brand, don’t bother to shop around for alternatives, and are willing to pay at least a small price premium for it. If someone wants cola, they buy either Pepsi or Coke. They don’t buy some knock-off brand to save ten cents per can. You can’t just start your own cola company and expect to compete in any real sense here. Merchants around the world accept Visa because so many consumers have Visa cards in their wallets. And so many consumers have Visa cards in their wallets because so many merchants around the world accept Visa. It’s a catch-22, a virtuous cycle. Visa was an early-mover in this industry, and spent decades grinding out this powerful network, which now just keeps getting bigger and bigger. But could you imagine how hard it would be for even the largest financial institutions to decide to just start a new credit card brand today? How would they even go about getting people to use it or accept it? There are only four major credit card networks in the United States (Visa, Mastercard, American Express, and Discover), and a new one hasn’t been founded in over 30 years because it’s virtually impossible. When a company becomes big enough, they may be able to do their work more cost-effectively than competitors. They can centralize their overhead costs, they can use their scale to get better deals when buying things, and they can build bigger and better logistics infrastructure. Competitors have trouble growing as large because their prices are constantly undercut by this larger, earlier-moving company. Some products inherently produce customer loyalty. A good example is that software developed by companies like Cadence and Autodesk allow engineers to design electrical and mechanical systems. These are extremely complex pieces of software, used exclusively by professionals, and they require years to obtain mastery of. These companies have been around for ages and have incrementally improved their software over years and years of user feedback. Even if some new competitor could somehow create a better product, would it be worth it for engineers to spend years re-mastering this new software? Probably not. Tech companies and pharmaceutical companies usually have a patent shield around their products, which creates a temporary monopoly for themselves. If a company has a large enough portfolio of products, each protected by patents, and they have enough momentum to replace expiring patents with new patents, then they can have a durable economic advantage in their technological or medical niche. Real estate is inherently limited. There is limited space in Times Square, and there is limited space for waterfront property, as two examples. Real Estate Investment Trusts often have very desirable property portfolios that have enduring value. Similarly, railroads, utilities and master limited partnerships build up large infrastructure that is either protected from competition due to having a regulated monopoly, or it simply would be self-destructive for a competitor to try to copy, like building a new set of railroad tracks right alongside a competitor that can’t get enough traffic to justify its costs since there’s already an established route there. In short, economic moats allow a company to continue generating superior ROIC by stopping competitors from copying their business model and competing with them effectively. A good blue chip dividend stock has a high ROIC and a strong and enduring economic moat to help ensure they’ll continue to generate a high ROIC for the foreseeable future. Like Warren Buffett and Joel Greenblatt recommend, the best investments tend to be companies with high ROIC and low stock valuations. A great company isn’t necessarily a great stock investment if its shares are overpriced. Fortunately, the market is volatile and often irrational, and shares of a great blue chip stock can increase or fall by 30% or more in a year due to the whims of the market and short-term news and noise. For a full primer on stock valuation, read my article on discounted cash flow analysis. This is the core way that any cashflow-producing asset is valued with. 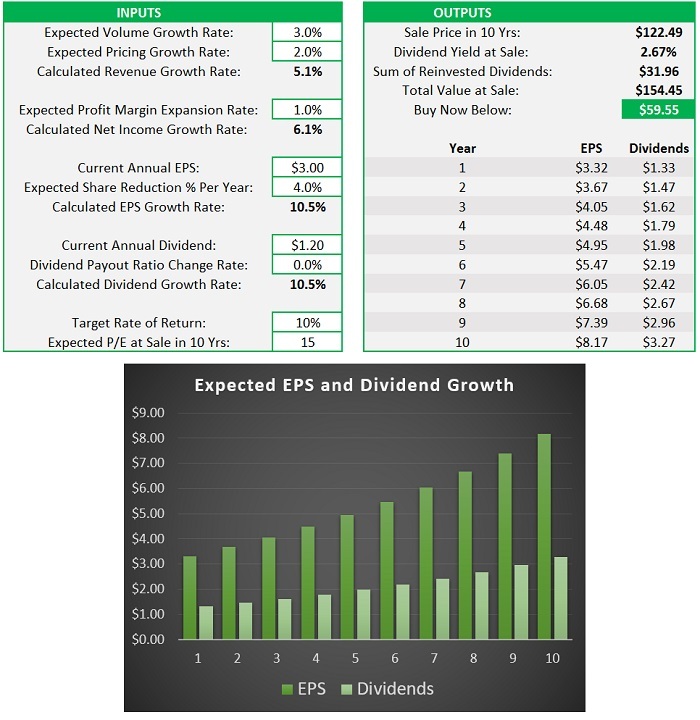 If a company has a dividend yield of 3%, and grows EPS and dividends by about 8% per year, then over the long-term the stock will most likely return about 11% per year, for example, assuming it doesn’t undergo a massive change in valuation. Some years it’ll return more, and other years it’ll fall in price, but over the long-term the fundamental performance of yield and growth will drive the stock’s performance. You can get it here if interested. How many stocks to own depends on your specific circumstances. A research paper called, “Equity Portfolio Diversification: How Many Stocks are Enough? Evidence from Five Developed Markets” took a deep look at this question. The data showed that owning about 20-25 stocks reduces your standard deviation from the market by 90%. And if you want even less deviation, owning 50+ stocks will make it almost certain that you won’t differ too much than the broad market. Basically, you get diminishing returns in terms of risk reduction from owning more and more stocks. Owning just ten of them from diversified industries takes away the bulk of the volatility, and bumping that up to 20 or 25 reduces it the deviation by about 90%. Adding more and more further reduces the chances that your portfolio will deviate almost at all from the market. Diversification is protection from ignorance. It makes little sense if you know what you are doing. But for casual investors, he recommends they just buy index funds, which is basically the most diversified way you can invest. Do you want to try to beat the market, or match it? An enterprising investor has a better chance of achieving serious outperformance if he or she sticks to a fairly small number of stocks. Concentrating to a few names increases the potential risks and the potential rewards. On the other hand, if you’re trying to match the market, it’s better to just buy an index fund, or indeed buy 50+ individual companies which takes a lot more work. 2) What other investments do you own? 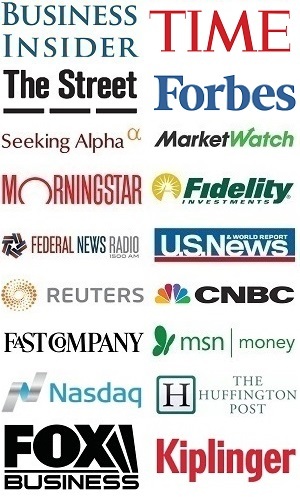 Research papers like the one above assume that all you own is this collection of stocks. But many people own index funds, rental properties, bonds, and other investments. If a blue chip dividend portfolio is only one part of your overall net worth, then you can afford to concentrate those holdings a bit more, because you’re still highly diversified as a whole. If all you own is a collection of ten blue chip dividend stocks, then you’ll have an average of 10% of your net worth in each company, which is way too risky for most people. But if you own a house, a rental property, a 401(k) that’s all index funds, plenty of cash, some bonds, and have 20% of your net worth in ten dividend stocks, then each one averages only 2% of your net worth, which is more reasonable. My primary retirement account is invested entirely in diversified index funds, and my Roth IRA and taxable brokerage account are where I buy individual stocks. Within those individual stock portfolios, I buy and hold some blue chip dividend stocks, and sell put options to get exposure to others. I also hold precious metals, REITs, and have international ETFs that give those portfolios some exposure to foreign stocks. I hold exposure to fewer than one dozen individually-selected companies, all of which pay dividends. I used to own 20+, but purposely reduced it to focus on certain companies. Overall, more than half of my portfolio is invested in index funds, while the smaller half is invested in dividend stocks and other assets. I put no more than 5% of my net worth in any company, and I have a high risk tolerance and plenty of liquidity. Most of my holdings are under 3% of my net worth. I agree with Warren Buffett on the topic; I know what I own in detail, and am willing to invest heavily in certain companies, and often hold them for many years. I invest a five-figure sum in each of my holdings, and I take the time to vote my shares for board directors and shareholder proposals when the time comes. In addition, although I hold companies from multiple different industries, I purposely do not own companies from every industry. I have deeper expertise in certain sectors of the market, and invest more heavily in those areas. However, this concentration is counterbalanced by the fact that my passive index funds hold thousands of companies. Those index funds have exposure to the S&P 500 and every sector, as well as exposure to U.S. small caps, and over a thousand foreign stocks. And I own bonds, cash, and precious metals. This middle-of-the-road approach combines concentration with diversification, and individual stocks with indices, and works for me. BIP is a partnership that buys and operates infrastructure assets around the world, which are naturally wide-moat businesses. I’m a buyer under $45/share, and it’s one of my largest holdings. They have a return on invested capital that averages 13%, based on adjusted funds from operations (AFFO) and partnership capital, and due to their partnership structure can grow far more quickly than standard utility companies. 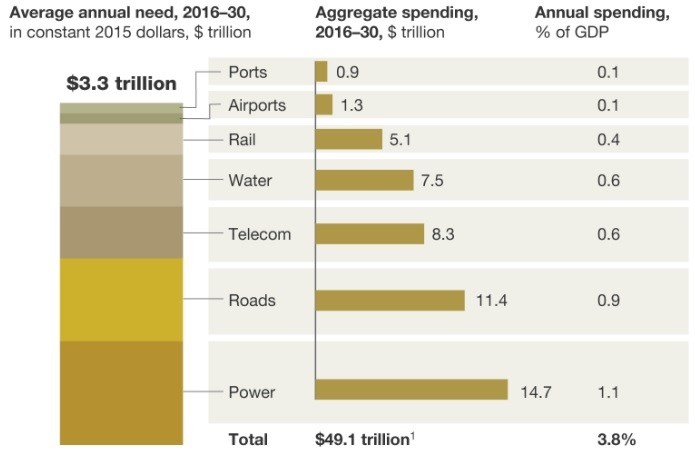 The McKinsey Global Institute finds that the world needs to invest an average of $3.3 trillion annually just to support currently expected rates of growth. Emerging economies will account for some 60 percent of that need. The reason I like investing in Brookfield is that it’s like buying curated emerging market exposure. They combine the well-capitalized and stable organization of a business headquartered in Toronto and New York with infrastructure assets in both developed and emerging economies that they routinely buy at a discount. Most of their cash flows are contracted for the long-term, and they build inflation-hedges into most of their contracts. These assets are long-lived cashflow-producing machines, and they pay out 50-70% of their cash to unitholders in the form of distributions while investing the remaining amount into growth. The partnership currently offers a 4% distribution yield, and expects to grow that distribution at 6-9% per year going forward, which translates into 10-13% annualized returns. In the past, they’ve beaten their estimates. Normally it’s not a good idea to to put publicly traded partnerships in a Roth IRA, but Brookfield’s partnerships are an exception. Unlike most Master Limited Partnerships, they are not particularly tax-efficient, their taxes are confusing due to their global nature, and they most likely will not generate UBTI unless they use their revolving credit facility, which they don’t plan on doing. That makes them fairly safe for a Roth, and even preferred for one. Ventas is a real estate investment trust (REIT) that operates a diverse and growing portfolio of healthcare properties. They don’t have the highest dividend yield in the industry, but they have a great combination of yield and growth. Most importantly, they already divested their assets that have large exposure to government healthcare funding sources. So you don’t really have to pay attention to politics in Washington to feel secure about this investment- almost all of their assets derive their revenue from private pay. Ventas’ stock recently fell from $70/share to under $65/share, which I consider a good entry price. I’m a buyer under $65 currently. Unlike hotels and malls which are owned over 50% by REITs in the United States, healthcare properties are a highly fragmented industry. Only about 15% of healthcare properties are owned by REITs. This gives Ventas an enormous platform for growth due to the rising senior population as well as an ocean of acquisition opportunities within the industry. EPD is one of the largest midstream partnership companies in the United States, which means they transport gas, oil, and other products via pipelines. Units of EPD used to trade as high as $40 back in 2014, but now trade under $30. This is due to a combination of the units being overvalued back in 2014 and undervalued today in 2019, as well as the massive drop in global energy prices. 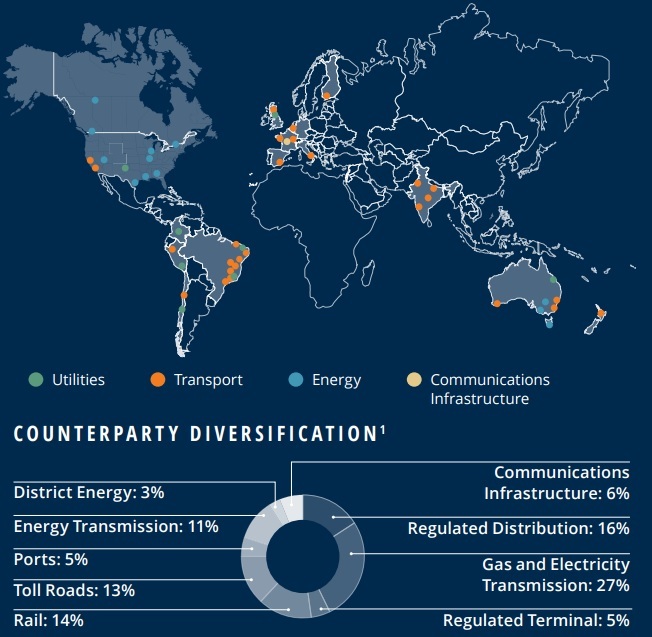 However, the reason this is a rock-solid investment is that they are highly buffered against falling energy prices, since they are focused mainly on transporting energy and are agnostic towards the prices of the energy. While many energy companies and MLPs had to cut their dividends and distributions as the price of oil crashed, EPD did not. In fact, they have raised their distributions for an impressive 60+ consecutive quarters in a row, straight through the worst oil price crash in recent memory. Every quarter sees an increase. There is always some degree of risk, of course. The global decline in energy prices was due to supply outpacing demand. Both demand and supply are increasing, but supply has increased at a faster rate. As long as oil prices remain extremely low, it reduces the amount of new supply that will be built, which reduces the need for transport. Therefore, a period of low energy prices will mean that EPD will find growth a bit more difficult than it would in a high energy price environment. I’m bullish on EPD under $30/unit. If you’re interested in EPD, read my detailed analysis here. If you’re more interested in dividend growth and safety than high yields, look at these wide-moat plays with significant dividend growth potential. I purposely didn’t pick just the fastest-growing companies; these are picked to offer a great combo of growth and durability. The added benefit of these companies is that with much lower payout ratios, they are even more protected from dividend cuts in the foreseeable future than the high-yielders above. Travelers is one of the largest publicly-traded insurance companies in the United States, a component of the Dow Jones Industrial Average, and one of my largest long-term stock holdings. The company has not had much revenue growth over the past decade, due to low interest rates and how competitive the insurance company is, and yet their stock has given tremendous shareholder returns over that same period. Dividends per share, earnings per share, and book value per share have all seen excellent gains, even as the size of the company itself remains rather flat. This is because they give almost all of their money to shareholders in the form of dividends and share buybacks. In addition to paying a dividend yield of over 2%, they buy back 5-10% of their existing shares each year, meaning that your shares are worth about 5-10% more of the company. Normally, share buybacks aren’t particularly lucrative, but in Travelers’ case, they have a price-to-earnings ratio of only about 12, so their buybacks are extremely lucrative and they are performed like clockwork. With dividends and buybacks combined, the long-term rate of Travelers shareholders is 7-12% per year, before growth is considered. I’m bullish on TRV under $140/share. Texas Instruments is the world’s largest producer of analog semiconductor products. More broadly, they’re one of the 10 largest semiconductor companies in the world. In my previous work as an electronics engineer, I’ve used a variety of Texas Instruments chips in my designs. Analog chips have a variety of applications, including converting real-world signals like temperature, pressure, sound, and images into information that is usable in digital circuits. In other words, just about any sensor has an analog component. Analog circuits manipulate a continuous spectrum of voltages and currents. This is in contrast to digital parts of a system that consist of 0’s and 1’s; just two different voltage levels. Analog chips are often difficult to design, but tend to have very long product lifecycles of up to a decade or more. As a result, they are incredibly profitable, often with gross margins over 50%. In addition, the analog industry is highly fragmented because there are countless types of analog chips for countless types of applications. TI’s large portfolio of analog designs gives it a wide and diversified economic moat in a growing industry. Embedded systems, on the other hand, are like mini-computers inside a variety of everyday equipment. Microcontrollers are hardware devices that can be programmed to perform a variety of complex tasks. Like analog chips, embedded systems tend to have fairly long product lifecycles and high profit margins. TI stands to benefit from the increasing levels of technology in our lives. Smart and connected devices, self-driving cars, sensors and controllers embedded in everything. While TI is on the high-side of the valuation spectrum that I’m willing to invest in, the high ROIC, strong balance sheet, and major industry tailwinds justify the valuation in my opinion. The company generates major levels of free cash flow that it gives back to investors in the form of growing dividends and share buybacks. And the company produces returns on invested capital (ROIC) of over 20% in most years. Index investing is a great strategy, but buying and holding some blue chip dividend stocks can be a smart move to supplement index funds for hands-on investors to ensure reliable investment income. I’ll update this article as needed if anything materially changes with the stock ideas provided. And in each issue of my free investment newsletter, I also give some dividend stock ideas and show precisely what I’m personally buying, so make sure you’re part of that if you’re a dividend investor.